It's in their rule book for sure. Have you looked at it? Look again and tell me who gets the weight break. You’re looking at the wrong classing. There’s one specifically for coyote stock racers. That 9.1 bro has went 9.05 now last November. You'll never win. Even when your right. We been over this already. They don't like seeing ford is heavier than they claimed it was. No, you were also looking at the wrong rules. The coyotard stock guys run the crossover rules. Idk why these giys have such a hard time figuring out the rules. Their denial clouds their vision i guess. Right in black and white, that yote wasn't 2600lbs. Of course he would lie about car being 2600, are we surprised that hammah lies? Not this guy. He raced last year under crossover rules which is lighter. My original point was under the import vs domestic rules, the ls cars get a weight break against the 5.0. They are allowed to run any camshaft and just about any aftermarket intake vs the 5.0 which is limited in camshaft lift and the only aftermarket intake allowed is the Boss. It's strange how you people think the coyote has some magical ability. 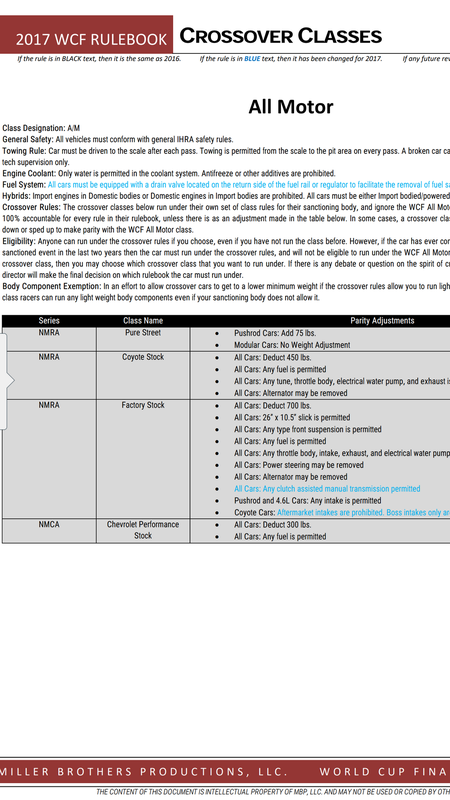 Under WCF rules the Chevy performance stock cars have to be 350 lbs heavier than the coyote stock cars. Cross over classes don't apply to everyone. Dum the rules change depending on the organization that you belong to and race in. It's to try and make bolt on cars competitive with all out NA builds. Bolt on coyote vs cammed ls3's. Is pretty much what it is.